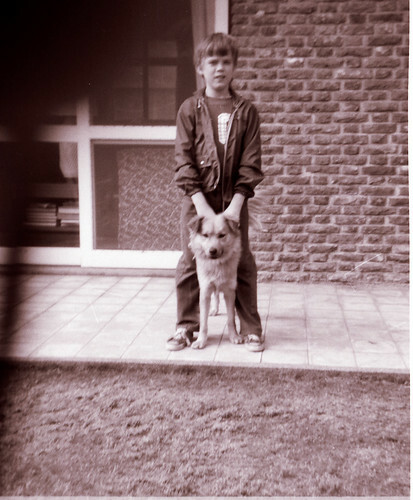 Me at age 8 with our dog Tai, in Taipei, Taiwan. Photo © 1974, 2013 J. Lake. Reproduced with permission. So, have I ever asked you this: when did you move from a dog family to a cat family?